Pag cheese is our most famous and most awarded cheese. Though it makes up only for 15% of our total cheese production, it is still the base of our production and a synonym for highly acclaimed Gligora quality. This is also the first cheese that brought Ivan Gligora the first international recognition for Croatian cheese and it is certainly the most awarded Croatian cheese. Pag cheese is a limited product, made exclusively of sheep milk from the island of Pag. Registered cheese factories and family run farms on the entire island produce only 200 tons of Pag cheese annually. The production is limited due to the total number of Pag sheep that can freely graze on the island pastures. The Gligora Dairy has a smaller sheep herd but it purchases sheep milk from around 100 families coming from the majority of island's settlements. This is done daily during the milking season – which lasts from January until the end of June. Pag cheese is produced using traditional methods, according to specification by The Association of Pag cheese producers, and as such it was protected by the “Made in Croatia” label on the local level, while the protection on the EU level is in progress. 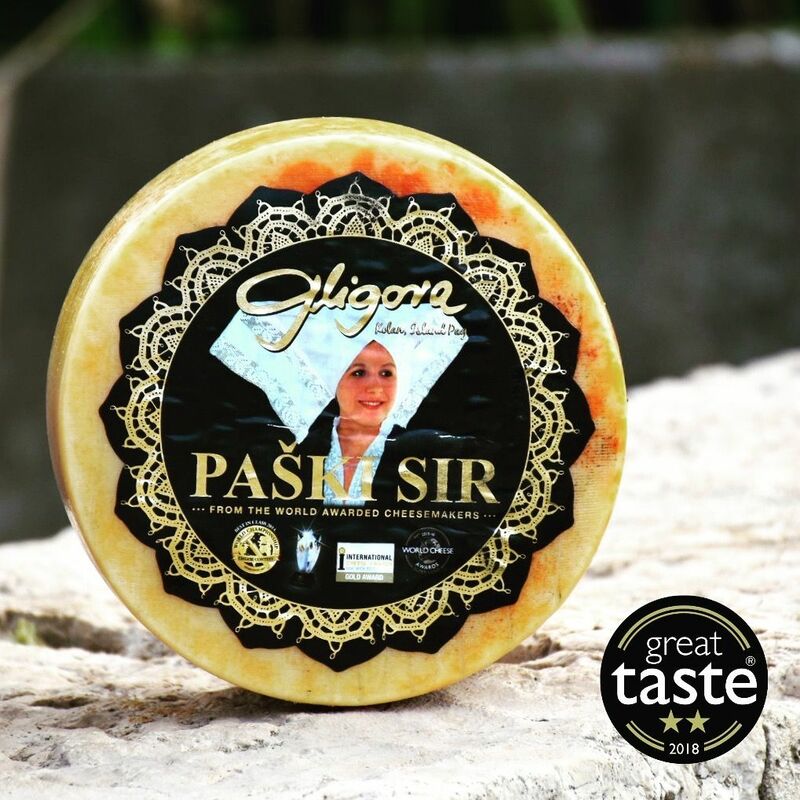 Pag cheese Gligora has a special, refined and savory taste and smell, crumbling and melting in the mouth. Aromatic herbs can also be felt in its aroma. Along with the standard cheese, we also produce Pag cheese, extra old, 12-24 months, Pag cheese made of the raw milk, and Pag cheese from wine, olive or cherry residue. "This is a true artisan cheese, the maker of which should be proud. The world title would be good enough for this cheese".